With this Party Hats Matching Game for Preschoolers, however, no one has anything to be embarrassed about 🙂 Everyone can simply enjoy a basic memory game with nine different images that’s perfect for the attention span of younger preschoolers. 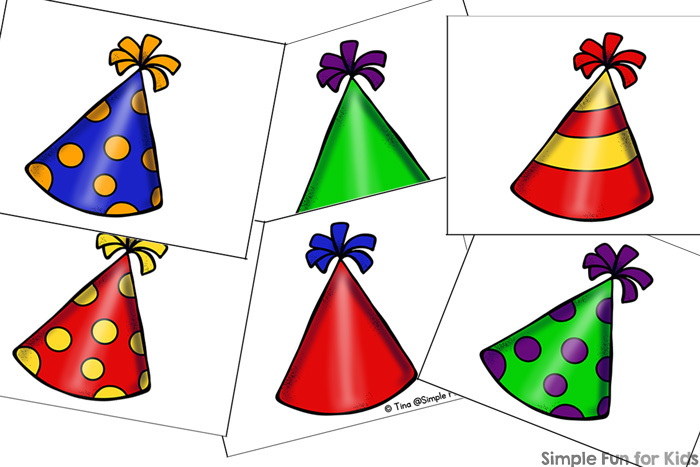 This printable has one page that shows nine different images of party hats with different patterns and colors. Print out the page twice and cut the cards apart at the black lines. 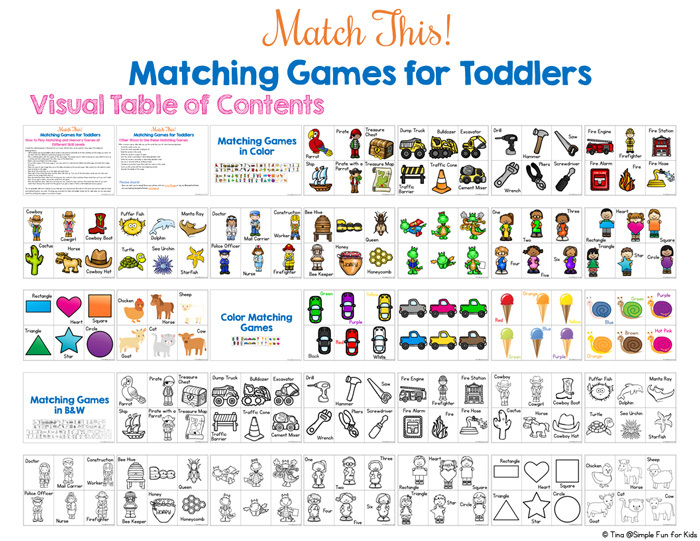 Play a memory or matching game with younger preschoolers. For older preschoolers with a longer attention span, you could print extra copies of the same cards. Just make sure to always have an even number of matches if you’re playing standard rules where you turn over two cards each round. 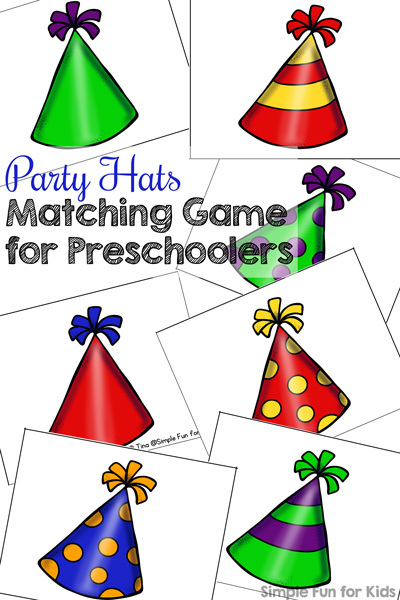 Download your Party Hats Matching Game! Are you looking for more memory and matching games? Here are a few others for different skill levels!